The Most Highly Rated Car of the Year is one of the most-coveted of all of the Honest John Awards, because it is based purely on owners’ reviews. 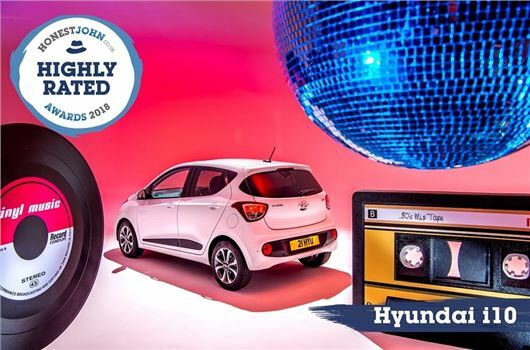 Over the past 12 months the Hyundai i10 has consistently received five star feedback, winning praise for comfort, reliability and fuel economy from drivers who live with it every single day. I've been driving for 49 years, and in my view, Hyundai are the only manufacturer worth considering. End of. I love my i10 - all the benefits of a small car yet practical enough to use as an occasional family car. Good to drive and reliable too. Just wish they'd drop the 1.0 turbo engine from the i20 in it to make a sporty version - like Kia are going to do with the Picanto GT-Line (eventually).